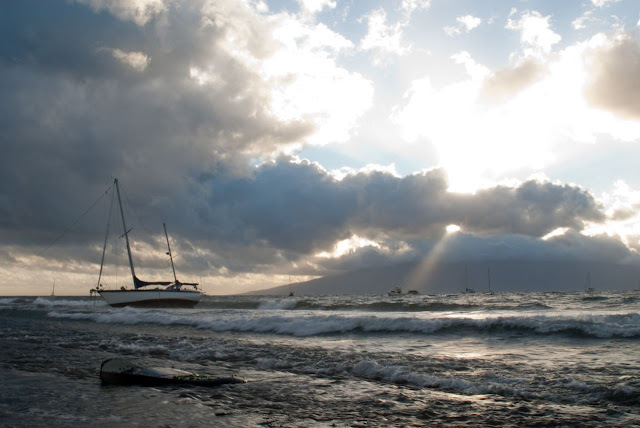 We have been experiencing a few storm fronts here in Hawaii that have brought us high winds, heavy seas, as well as rain and cooler tempratures. Wednesday evening we started to get higher winds and seas. 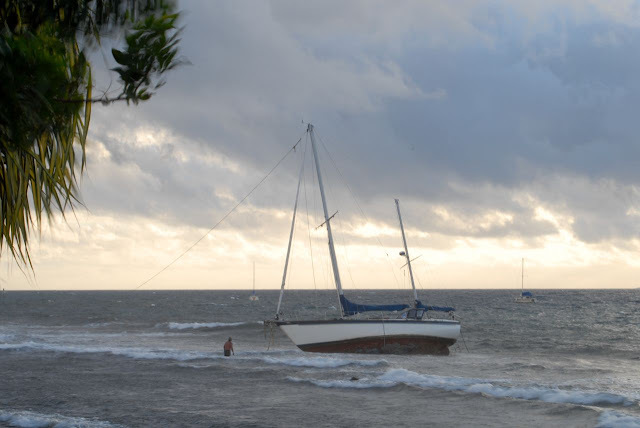 Early Thursday morning this boat broke free of its mooring off Mala Wharf and ran aground due to the high tide. 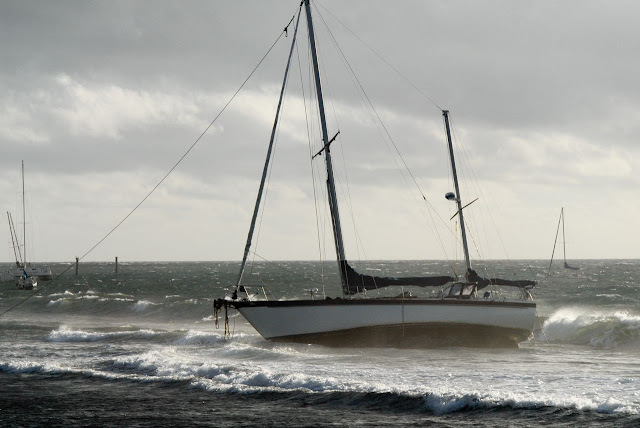 The keel has been caught in the reef and holds the boat in a dangerous place. 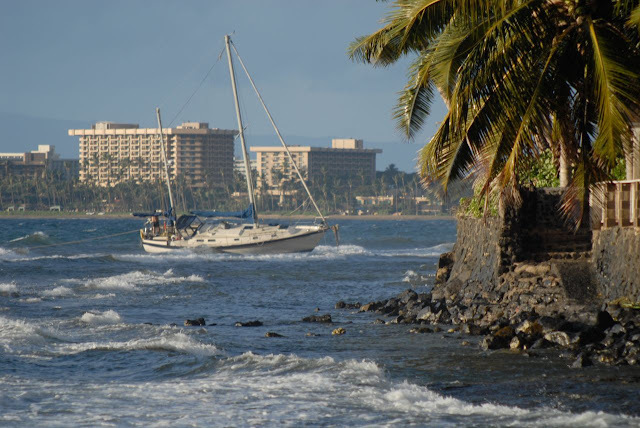 It is stuck in the surf zone, taking on waves and rocking around on top of the reef. This is only adding to the damage. The reef is acting like a cheese grader against the boats hull. There are guys doing all they can to save this ship. 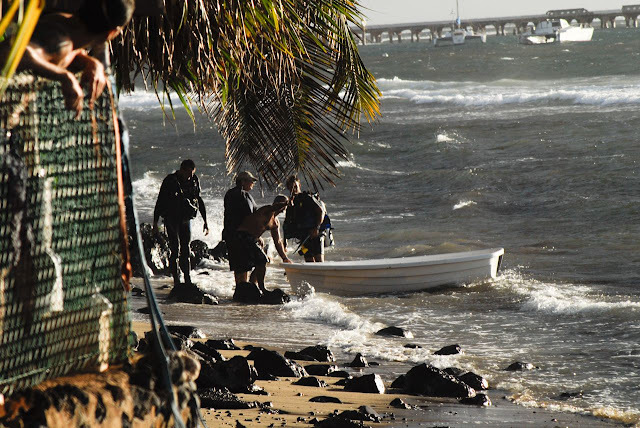 While at the scene yesterday, I saw 3 guys in a dingy get washed in by the waves and then dumped onto the reef themselves. Unfortunately, they have to plug the bottom of the hull before they can float it back out to sea. As of now, Friday morning, the weather has not let up. 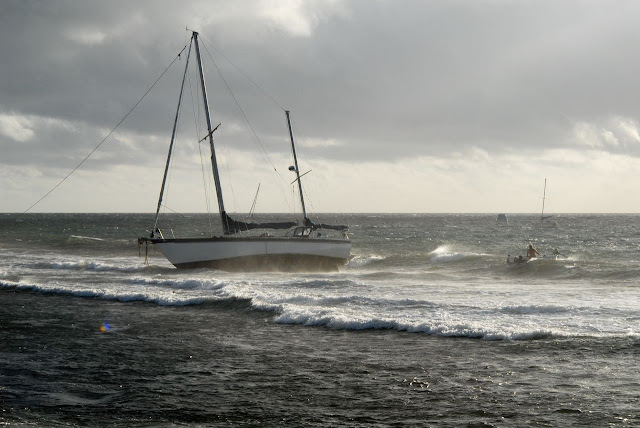 The boat still sits on the reef and is taking a beating. Good luck to all those involved. Take a look at the last image here. That object in the foreground of the picture is the carcass of a keel from some other boat, laying on the waters edge.